The Durham Live commercial centre in Pickering is happening. 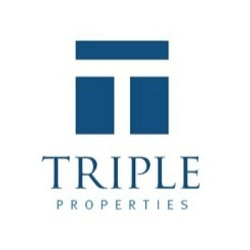 Triple Properties, based in Toronto, has made it known that it will be moving forward on its Durham Live commercial centre plan in Pickering. This was after Ontario Gaming GTA LP, or OGGLP, announced that the project will be the new home of its casino in the Durham region. Triple Properties will now begin the task of seeking municipal permits for Durham Live, according to a media statement released earlier this month. OGGLP has specified that it will move its existing Casino Ajax when the casino resort at Durham Live becomes operational in the later parts of next year. Plans for the Durham Live commercial centre, besides the casino facilities, include film studios, convention space, hotels, and an indoor waterpark. The casino will provide hospitality, restaurants, entertainment amenities, retail, and gaming. OGGLP is an alliance between Great Canadian Gaming Corporation, which runs 25 gaming, hospitality, and entertainment facilities across Canada and the USA, and Brookfield Business Partners, which is based in Toronto. The statement further said that the Durham Live centre is likely to create as many as 10 000 local jobs. The casino resort alone is likely to employ as many as 2 000, 1 700 new jobs along with the 300 people currently employed at Casino Ajax. In August last year, OGGLP was chosen as the successful proponent to operate three gaming facilities in the Greater Toronto area by the Ontario Lottery and Gaming Corporation. These facilities are now branded as Great Blue Heron Casino, Casino Ajax, and Casino Woodbine, and OGGLP now has the sole right to operate these casinos for a minimum of 22 years.